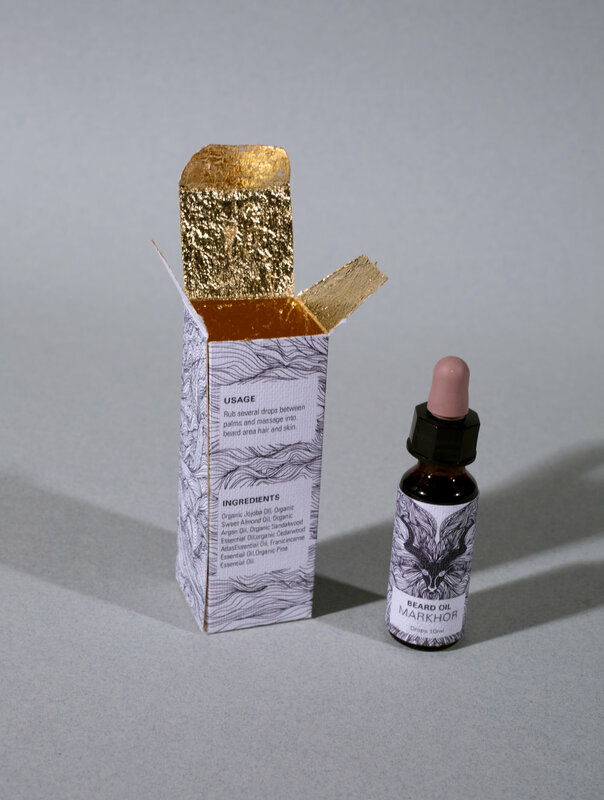 As beards have become more and more of a fashion statement nowadays than ever before, Billy Goats Gruff Beard Oil is aimed towards the more fashion conscious man. The simplistic packaging design allows focus on the illustrative goat logo design with emphasis on the flowing beard. The beard is back! Weather you're rocking the lumberjack, 18th century judge or Salvatore dali moustache Billy Goats Gruff Beard Oil has you covered. Targeted towards the more fashion conscious man or just someone who likes their beard to shine and smell like a million dollars. The packaging is simplistic illustrative design with focus on the goats detailed beard to stands out on the shelves. The conceptual thinking behind the branding was to focus on the various types of goat breeds with their unique individual looks and style of beards to create a series of packaging designs complimenting the brand.